Last matches of Champions League group stage were played yesterday. We know 16 teams which will go on to play-off phase and still have a chance to win Champions League 2018/2019. We also know the names of 8 teams continuing in European League. Now it is the right time to go back in a time. In September I made predictions about the outcome of the Group Stage. I ranked teams in each group and now we can evaluate how good or bad I was. I get right 21 teams out of 32 teams that give 65.6 percent success rate. I was right in naming 14 out of 16 teams going into the play-off what gives 87.5 percent success rate. I predicted three groups rankings absolutely correctly. These are the highlights SOCCERsoda is pretty proud of. There are two possible explanations of our success. Either the predicting of the Champions League group stage is easy, as there are not so many surprises, or I was just lucky. No matter what is the reason, I would grade myself as B. 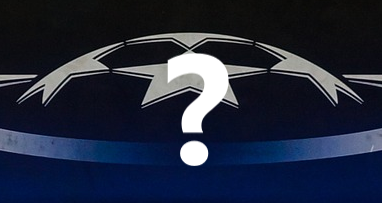 What is your pick for overall Champions League 2018/2019 winner?